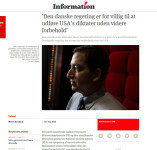 I photographed Glenn Greenwald for Danish newspaper Dagbladet Information. You can see a few more shots in the Recent Work section of my website, or in my archive. 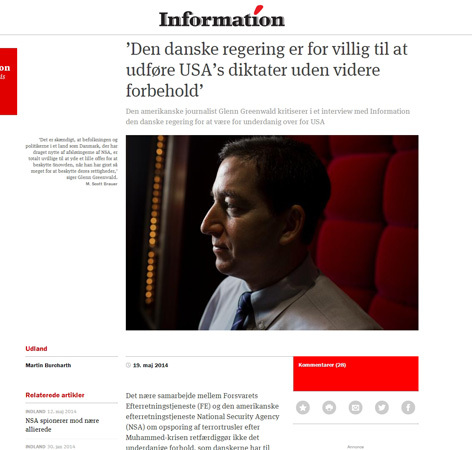 My picture accompanied an interview with Greenwald on a wide range of topics surrounding the NSA Leaks and Edward Snowden, including how the Danish government works with the US government on mass surveillance programs. The article is available on Information’s website, and includes the full interview in English.